Some of the pates from The Cathedral Churches of England, by A. Hamilton Thompson, London and New York, SPCK, 1925; Most (or all) of the images were already out of copyright when the book was produced. The author died in 1952, less than 70 years ago, so the text is still protected by copyright and I have included only very short excerpts. 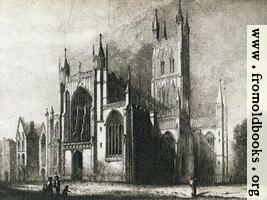 Plate XXVI: Lincoln Cathedral. West Front. Plate II. 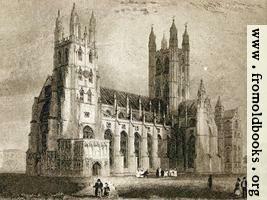 Canterbury Cathedral. 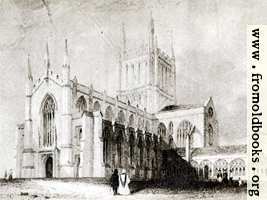 South West View.